In order for your garden company to really be using digital communications to the fullest, you’ve simply got to have a garden industry blog. Your company blog is your chance to have your voice heard! Here, you have no character limit, no restrictions as to what you can talk about. Your company blog is totally in your control—and how sweet it is. Blogging allows your garden company to establish itself as an expert in the field. At Garden Media Group, we have two areas of expertise: public relations/marketing and gardening. To have our voice heard in each niche industry, we have two blogs, which allows us to double our audience, SEO keywords, and content. Ah, the beauty of the internet. But, what if your horticulture blog is stellar, but no one’s reading it? The whole purpose of a company blog is to reach your key audience, and if that’s not happening, your garden company has got to make a few changes. One easy way to up your page views is using Twitter. Below are three, quick tips to tweet your way to more page views on your blog! I have a master list of my Twitter followers broken down into multiple categories. This helps me keep track of where I’ve meet these outstanding individuals as well as a few areas they’re passionate about. Yes, this method takes time, but it’s worth it. Why? Say I write a blog about SEO, I’ll open this list and see which of my followers love talking about SEO. Then, I’ll tweet at that person about how they’ve inspired me, why I think they’d be interested, or even, just as an FYI. The advantages of this are that this person is already invested, and they may (fingers crossed) retweet it. Do not, do not just tweet the title of your blog. It’s been done, and we’re all tired of seeing it. Instead, focus on tweeting key words, teasers, and tantalizing excerpts. Hashtag the most important words in your tweet. Have at least five different ways to say the same thing, but make sure your keywords are the same; the more you repeat the same keywords, the more they’ll be engrained in your audience’s mind. We’ve all by woken up by a noisy bird outside our window. We wake up and take notice of this bird because they never stop tweeting. As public relations pros, we’ve got to take a number from these noisy birds. The half life of a tweet is a mere three hours; that’s it. You’ve got to tweet out the same link multiple times a day. Utilize the tips from above, and push that content. If you want eyeballs to see your latest blog, then, you’ve got to keep tweet, tweet, tweeting it out! What have you found to be the most effective Twitter tactics? Learn how to truly maximize your garden business with social media. 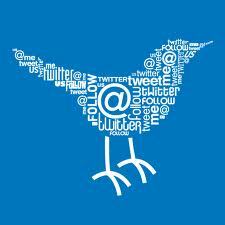 Special thanks to Graphic Leftovers for the Twitter Bird image!